Films that screen at Red Nation International Film Festival (RNIFF) have received broadcast network deals, distribution deals, actors have been hired for television series, casted in feature films and asked to be presenters at NAACP Image Awards. Writers are looked at for future television shows, these are a few of the key benefits that the film festival provides. One of our major accomplishments is that RNFF has locked down exclusive screenings with major production companies and choosing films to screen BEFORE being screened to general public then going on to win awards! This is the Native Festival that screens Academy Award winning films and Emmy Award winning films before they were nominated — for the past 11 years. “Wind River”, “Woman Walks Ahead”, “Indian Horse”, “Frozen River”, “The Garden” and “Honor the Treaties” were screened at Red Nation International Film Festival. In addition, RNIFF was the first festival in the world to screen before its premier and to the general public in partnership with Summit Entertainment “Twilight Saga: New Moon”. This is the Festival to experience Native Cinematic Excellence. Red is Green Carpet Events were first launched at RNIFF, providing a platform in keeping with its’ mission American Indian at the forefront of the Entertainment Industry. 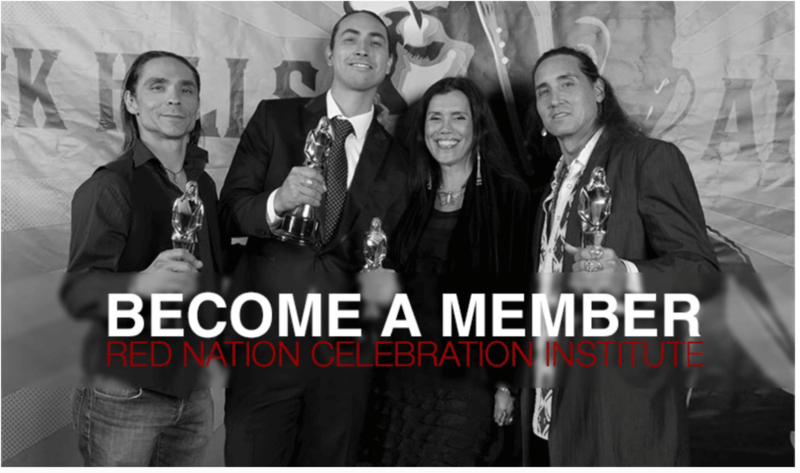 Native Film Market – Red Nation Celebration Institute ground-breaking initiative INDIGENOUS EYES FILMMAKER SHOWCASE was launched in November 2015 and sponsored by Honest Engine Films, in partnership with Red Nation Television Network, and presented by Red Nation Celebration Institute in Santa Monica at the Loews Hotel during American Film Market. Annually Film Market. 1000 distribution and production companies were invited, 400 attended the Red is Green carpet gala. This launch created a buzz, internationally and locally, industry professionals were amazed at how many native & indigenous films have been produced. 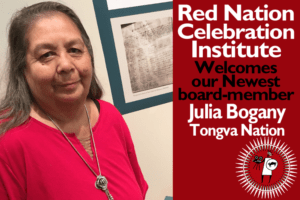 Red Nation’s INDIGENOUS EYES FILMMAKER SHOWCASE highlighted this very important ground-breaking initiative. 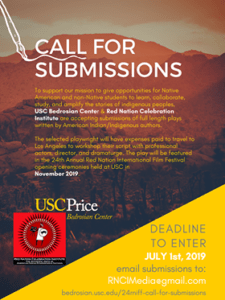 Red Nation Celebration Institute’s Native FILM Market, now in its forth year 2019, held during Red Nation International Film Festival in November, annually. 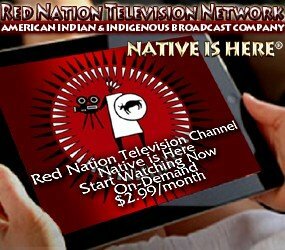 The Festival features the only film competition in the world that offers guaranteed distribution of American Indian & Indigenous Award winning independent films, as well as films that screen at the festival to include a broadcast television release in partnership with Red Nation Television Network, a global provider of streaming movies and TV series and soon to be announced Festival’s native films televised on a Cable server provider. > The Academy of Motion Pictures Arts & Sciences invites Red Nation Film Festival Founder Joanelle Romero as a lifetime member (2016). > “Honor the Treaties” after screening and winning Best Doc Sort @ RNIFF 2012, the short went on to Win an Emmy in 2013.